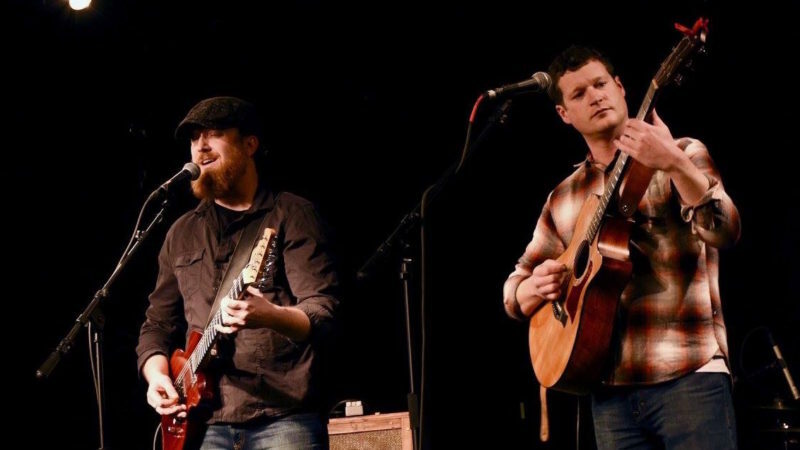 David Lynn and Sean Farley are an acoustic/electric guitar duo based out of Williamsport PA, who have been playing music together for over 15 years! Both song writers, they compliment each other’s original music well and throw in a few covers as tribute to their favorite musicians too! They play a dynamic blend of American music styles like blues, americana, rock, and folk. A musical chemistry and strong friendship can be heard in all their performances. David Lynn’s powerfully rhythmic acoustic guitar playing and Farley’s colorful and textural electric leads, combined with beautiful vocal harmonies produce a big sounding duo! David Lynn has been heavily influenced by the music of Dave Mathews, Van Morrison, Tom Petty, and more. Sean Farley is most known as a blues player, influenced by Eric Clapton, Jimi Hendrix, Stevie Ray Vaughan, BB King, etc, but has more recently influenced by americana sounds from the southwestern desert. Both Lynn and Farley have combined their styles into an enjoyable, listenable, and articulate sound. They also have a full band (Lynn & Farley 5) featuring Jimmy Lovcik (bass), Richard Cummings (drums), and Adam Tarin (keys).